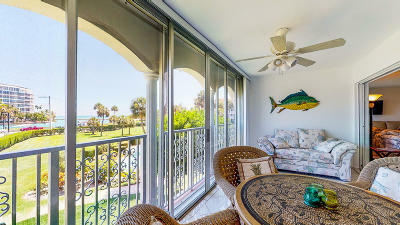 BEAUTIFUL OCEAN, OCEAN, BOATS, INTRACOASTAL, BOCA INLET VIEWS! WATCH THE BEAUTIFUL SUNRISES AND SUNSETS AT THE WONDERFUL COMPLEX OF NEWTH GARDENS ON THE BOCA INLET! WONDERFUL RE-DONE CONDO WITH EXTRA LARGE STORAGE IN THE UNIT OR AN EXTRA BEDROOM, ALONG WITH 2 BEDROOM 2 BATH BEAUTIFUL PARKS AND WONDERFUL BEACH AREA, STROLL THROUGH THE BOARD WALK ANYTIME OF DAY OR NIGHT! EASY WALK TO DEERFIELD BEACH WITH ALL THE GREAT NIGHT LIFE AND RESTAURANTS. ASSIGNED UNDERGROUND PARKING GARAGE WITH EXTRA STORAGE, NICE SALT WATER POOL AND SAUNA. OVER 7 ACRES OF LUSH LANDSCAPING CATCH THE OCEAN BREEZES ANYTIME OF DAY, SO EASY TO SEE CALL FOR QUICK SHOWINGS ANYTIME. FURNITURE AVAILABLE.